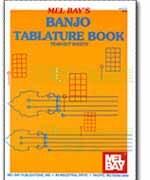 Banjo tabs is short for banjo tablature, which is a method of music notation that has been around for many years. Banjo tablature shows you which string to pick, which fret to hold down and (sometimes) which finger to use on the right hand. 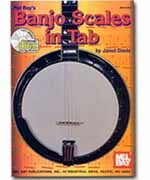 Banjo tabs can also show techniques like pull-offs, slides and hammer-ons. 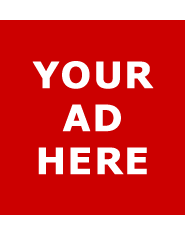 There are quite a few free banjo tab sites on the internet, but many are of questionable quality. 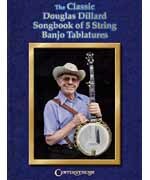 All of our banjo tab books are written by highly qualified instructors with tested arrangements. A free banjo tablature is not a good deal if it causes you confusion and wasted time. 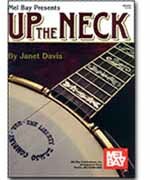 Leads the banjo player step-by-step through working out songs for the five-string banjo from basic melodies in both Scruggs/bluegrass style and melodic/chromatic style. Each section contains exercises and examples for improvising. Janet Davis' books are praised because they teach so well! This is one of her finest. 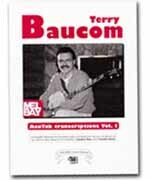 This special volume includes complete tablature for the banjo solos on the two hit recordings by Lou Reid, Terry Baucom and the bluegrass group, Carolina: 'Carolina Blue' and 'Carolina Moon.' 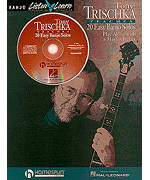 Includes performance suggestions for each solo and Terry's comments and recollections about the songs.